"I hear good vocals and lovely tunes in it. the songs I would describe it as blues and jazzy"
The 95s are a 90s Alternative/ Blues band founded in Monticello, MN 2015. Austin Stolpestad and Ben Schablin make up The 95s with their original music! 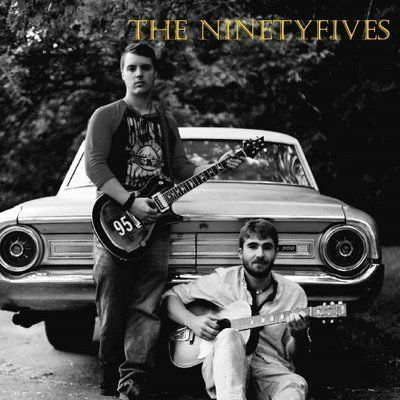 The 95s' are a two man band that uses acoustic guitar, electric guitar and bass with their music. Sometimes will incorporate a small kick drum to add some variety to the music but mainly just trying to keep a simple idea..
Highschool during choir class and since then has continued to work with each other since 2012..